Lou's World: Kraft it Up & Cosmo Cricket - Tea for Two!!! This month for my Handmade by Suzanne DT kit.....Lucky me gets to play with the Cosmo Cricket "Tea for Two" range! This months challenge at Kraft it Up is a sketch challenge....with the added challenge to include layers! I've also used some 2crafty chipboard - Cutesy Dragonflies, Flower Whispy & ATC Elements 1 scroll ........ plus a Lil' Red Rocket spotty button & twine. For the 2crafty scroll & dragonflies, I have painted them first in Antique White, then inked the edges with a blending tool...and to finish it off I've lightly sprayed some TA Burnt Red glimmermist. For the background, I've used a CW template - Mini Harlequin - & painted on some Burnt Red glimmermist. Pics are from our trip out to Broken Hill last year, out at the Living Desert where we spotted just a few of the gorgeous Sturt's Desert Peas...aren't they just beautiful!? Okie doke....that is all for now, but I'm hoping I will be back some time in the next week with some more shares from this gorgeous range! Thanks so much for playing along at KIU this month, your layout is gorgeous! 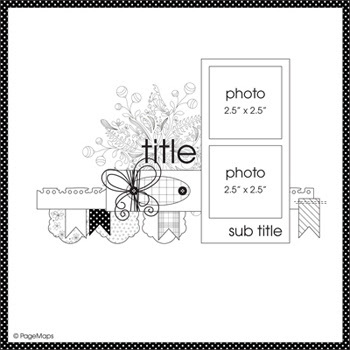 Such a beautiful layout Linda! Incredibly exotic subject too!! very cool layout! so interesting and creative!! Hi Linda, I'm your latest follower and I love the techniques used on this page. The page reminded me of our trip to the Living Desert last year but we didn't get to see these wonderful Desert Peas. Beautiful layers as well. Hi my friend Linda! I came to say hi since I am back from vacation! You have been busy creating such wonderful pages!!! I love your work!!TFS!!! I just love these flowers and seeing them in bloom is something really special. It's so nice to see them in a layout <3 Just wonderful. Thanks for joining us at Kraft It Up! this month. Just amazing, love your color combinations and great layering! You take such gorgeous photo's Linda. Love the layering and the way you interpreted the sketch!!! Thanks for playing along at KIU! Very nice! Love the colours and your interpretation of the sketch. Thanks for entering your layout at KIU. 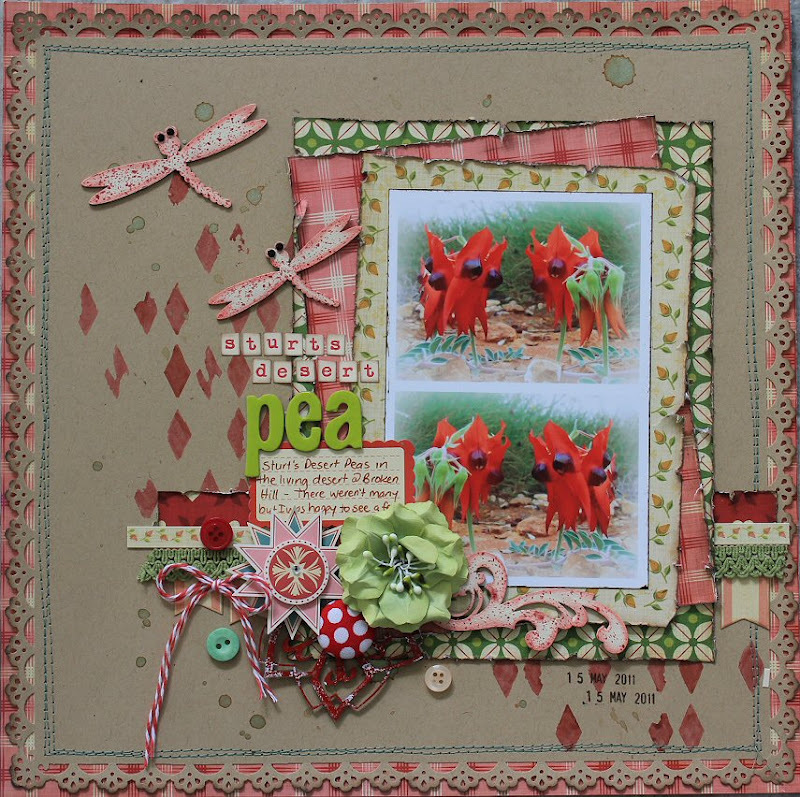 Gorgeous layout Linda....I love your style and I just love everything about this layout! Super!